Leonardo da Vinci is believed to have had the first and last credible resume in the world.¹ At the time, his resume was innovative, bold, personalized and diverse. It spoke to the skills that da Vinci actually had, which appeared as if he could do anything. Yet, in the last 500 years, screening and hiring techniques have been focused around trying to identify a top performing talent from only a word-smithed piece of paper (or two) written by the candidate! Imagine a world where candidates are candid about their true abilities, knowledge and preferences; would that be enough to identify highly engaged, quality talent? As a workforce solutions organization, we speak with hiring managers on a daily basis that provide hiring parameters on what they are looking for. What’s fascinating is that each manager will give you different requirements that they want from your candidate: licenses, certification, specialized experience, keywords on resumes, years of experience, soft skills and the list goes on. We are trying to find the needle in a haystack with an endless list of criteria. So, how might we get better at identifying the best candidates without succumbing to the voodoo hiring strategies?Behavioral assessments. These assessments are comprised of job-related questions based on required competencies to do a job. They typically screen for four to six key competencies. In order to gain a wider view on a candidate, behavior assessments dig into situational and past behaviors. This allows interviewers to understand a candidate beyond a wordsmithed resume and prepared performance in a standard interview. There are typically two types of questions found in these assessments, behavioral and situational. Behavioral questions are based on the premise that the best predictor of future behavior on the job is past behavior under similar circumstances. They typically draw from a candidate’s actual behavior during past experiences. On the other hand, situational questions are based on the premise that people’s intentions are closely tied to their actual behavior. These questions present realistic job scenarios and ask how applicants would respond. What are the key drivers to success? What are key skills and competencies? Are there aptitudes or behaviors necessary to execute the job? You may be asking yourself, “Will implementing a behavioral assessment in my process take a lot of work?” Well, you surely can’t just wiggle your nose and make an instant change, but the effort you make up front to incorporate behavioral assessments will well be worth the outcomes and insights in the end. Just think about how great it will be to validate the times when you are your team are right about hiring the best employees and better understand the times where something went wrong. Have you ever used behavioral assessments or have thoughts on their value in the hiring process? We would love to hear what your have to say. Please share your feedback in the comment section below. 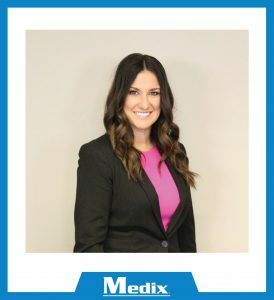 Sandra is Medix’s Director of Talent Innovation and currently works out of our Scottsdale, Arizona office. This entry was posted in Clients, Currently Employed and tagged behavioral assessments, behavioral interviewing, behavioral interviews, hiring managers, screening process. Bookmark the permalink.